Jackie has worked here on and off since she was 12. She worked on the switchboard which was open 24 hours a day, 7 days a week in her own house. Jackie was married for 41 years and had 4 children. She has 7 grandchildren and 6 great-grandchildren. 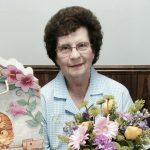 Jackie enjoys sewing, quilting, traveling and spending time with family. Randy has worked here for 11 years. Randy is married with 2 children. He enjoys golf, reading and traveling. Randy’s favorite part about working here at Lennon Telephone Company is his friendly staff. Tom has worked here for 37 years. Tom has been married for 34 years and has 3 children. He also has one grandchild. Tom enjoys organic farming and raising goats along with other animals. His favorite part of his job is working with friendly Lennon area residents and seeing a new technology or service become available to our customers. Sharon has worked here for 22 years & has been married for 17 years. She has 2 children. Sharon is involved locally with the Village of Lennon Volunteers and the Friends of Doyle Knight. 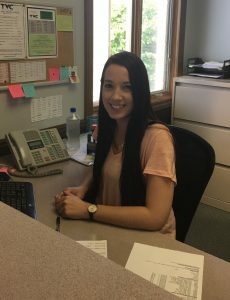 Her favorite part of her job is talking to all our friendly customers when they come in the Office, and working on our quarterly Newsletter, The County Line. April has worked here for 13 years and has attended Ferris State University. April has been married for 16 years and has 2 children. April likes to shop and attend her kids’ activities in her free time. Her favorite part of her job is helping a customer understand a new service and having them sign up for it. Guy has worked here for 22 years and has been married for 28. He has 2 children and 2 grandchildren. Guy is an excellent artist, and loves to landscape his yard. He also is an avid hunter. Guy’s favorite part of his job working outside and designing a new cable area. Nick has worked here for 19 years and has been married for 14 years. He has 3 children. Nick enjoys outdoor activities. His favorite part of his job is working with new technology. Jimmy has worked here for 18 years. Jimmy has been married for 28 years and has 2 children. Jimmy enjoys the outdoors and “tinkering” in his garage. His favorite part of his job is meeting friendly customers and working with an easy-going staff. Rich has worked her for 1 year. Rich has been married for 10 years and has a dog named Angel. His hobbies include fishing and fishing. 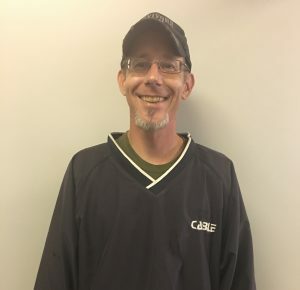 🙂 Rich’s favorite part of his job is helping a customer with a problem or hooking up a new customer with service and working with great people! Kyley has worked here for 14 years. Kyley has been married for 3 years and has two children. Kyley’s favorite part of his job is installing a new customer that is happy to have our service. Axel has worked here for 16 years and has been married for 8. He has one child. Axel enjoys working on his truck and yard. His favorite part of his job is running the bore machine and being outside. Our Office is closing at noon today, since the whole State is basically shut down. Please call 810-621-3363 for any outages, we have CSR's and a tech on-call. Please call 1-866-426-6967 for any internet concerns. Stay warm and safe !! Unfortunately, sun outages are happening. :( Here is the letter that was in the October bills. Thanks!